This article was written By John Berra on 26 Jul 2011, and is filed under Features. Few production and distribution companies have made such a vital contribution to the development of their national cinema as the Art Theatre Guild of Japan. 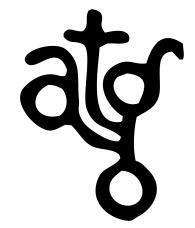 However, the ‘ATG’ logo means surprisingly little outside cinephile circles, despite appearing at the start of many landmark films by such legendary Japanese directors as Shohei Imamura, Nagisa Oshima and Hiroshi Teshigahara. Established in 1961 and initially specialising in the art-house distribution of such classic American and European films as Sergei Eisenstein’s Battleship Potemkin (1925), Orson Welles’ Citizen Kane (1941) and Jerzy Kawalerowicz’s Mother Joan of the Angels (1961), the ATG soon realised that niche audiences were also interested in seeing Japanese works providing that they exhibited the singular vision and social-political engagement that was absent from the studio programmers of the period. Initially dabbling in the emergent Japanese New Wave as the distributor of Teshigahara’s Pitfall (1962) – an unsettling hybrid of social commentary and horror story in which a wandering miner and his son are followed by a mysterious man in a white suit – the ATG was firmly established as financier of independent Japanese cinema by the latter part of the decade. The production methodology of the ATG was as cost-conscious as it was open-minded, with both new directors and those frustrated with the studio system being allowed complete control over their films providing that they could operate with small budgets and tight schedules, while distribution was guaranteed due to company ownership of a theatre chain, of which the Art Theatre Shinjuku Bunka was the flagship venue. The films in the Shinjuku Diaries retrospective are nothing short of remarkable: Imamura’s A Man Vanishes (1967) adopts documentary form to tell the story of the search for a missing person, blurring the boundaries between fact and fiction, while Teshigahara’s uniquely atmospheric Pitfall was described by its director as a ‘documentary fantasy’. 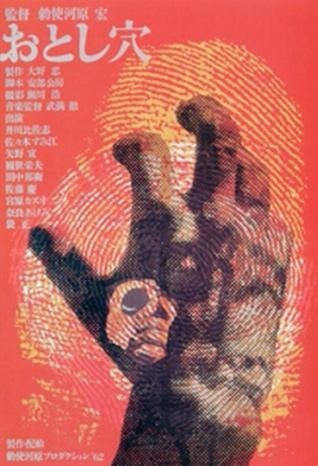 Ôshima’s Death by Hanging (1968) directly addresses the issue of state execution, Kihachi Okamoto’s Human Bullet (1968) follows a soldier’s final day of freedom before embarking on a suicide mission and Kôji Wakamatsu’s Ecstasy of the Angels (1972) deals with the inner-workings of an extremist organisation. The aimlessness of Japanese youth is explored by Susumu Hani’s The Inferno of First Love (1968) and Kunio Shimizu and Soichiro Tahara’s Lost Lovers (1971), while the transsexual activities of the Shinjuku underground depicted in Toshio Matsumoto’s Funeral Parade of Roses (1969) and the incestuous relationship of Akio Jissoji’s This Transient Life (1970) made both films major talking points on release. Although the ATG films were fiercely modern in terms of aesthetics and outlook, they occasionally took place in period settings, hence Masahiro Shinoda’s Double Suicide (1969), in which 18th Century lovers make a pact in order to be together in the afterlife, and Matsumoto’s pessimistic jidaigeki Pandemonium (1971). 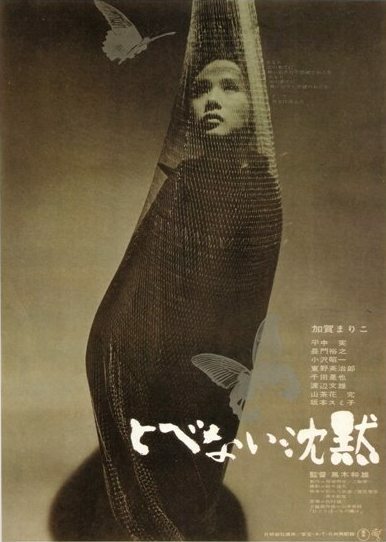 Further experimental approaches are represented by Kazuo Kuroki’s Silence Has No Wings (1967), which follows the journey of a butterfly across the Japanese islands, and Shuji Terayama’s Pastoral Hide and Seek (1974), in which the director interacts with his childhood self while preparing his latest project. As suggested by this brief overview, this is a retrospective that acknowledges the importance of such figureheads as Imamura, Oshima and Teshigahara, while offering the opportunity to discover such less well-known but similarly brilliant filmmakers as Jissoji, Kuroki and Terayama within the context of the company that ensured autonomous creativity and a four-week theatrical run regardless of initial audience attendance. Taken individually, each film in the Shinjuku Diaries retrospective serves as an example of the work of a significant Japanese filmmaker. Yet taken collectively as the output of the ATG, they arguably have greater impact in terms of emphasising that artists working within the medium of cinema always require sufficient support at the levels of production and distribution, therefore showing how the Japanese independent sector was able to thrive in the 1960s and early 1970s. With regards to the aims of the retrospective, Ross states: ‘I hope the season will show that there are other ways of putting together a coherent and engaging programme than relying on a director. I hope the selection shows the diversity of work that was made under ATG auspices and show that ATG was an attraction to a range of different talents. Lastly, I hope the season instigates further research by showing that, although he was central, Oshima is not the only way we can approach the 1960s and 1970s cinema of Japan.’ Shinjuku Diaries is a long overdue retrospective that should have anyone with an interest in Japanese cinema heading to the Tokyo underground this summer via BFI Southbank. Shinjuku Diaries: Films from The Art Theatre Guild of Japan runs at BFI Southbank from August 1-31. Details of screenings, related panel discussion, and ticket booking facility can be found here.